This is a barren pass in southeast Arizona, important only because of a small source of water. 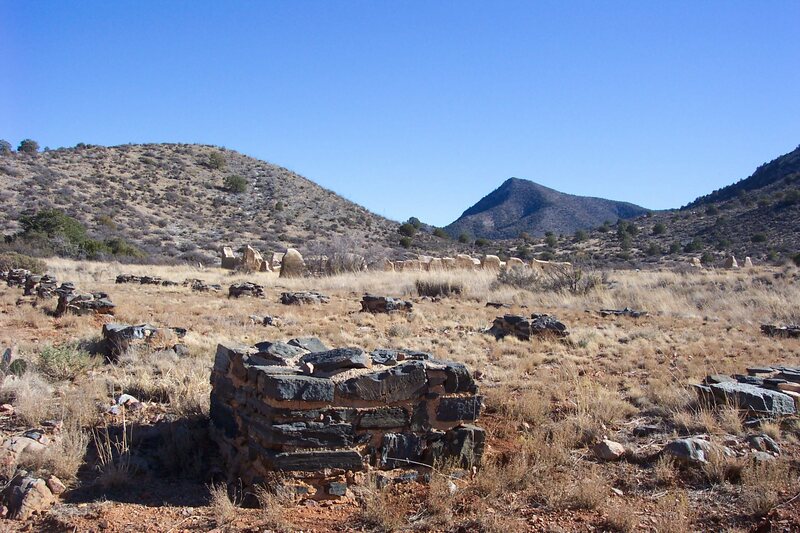 Were it not for Apache Spring, a long string of emigrants and prospectors and soldiers would never have come this way. But the spring exists to this day, one of the few remaining testaments to the sordid history of Puerto del Dado, the Pass of Chance. For more than 20 years, Apache Pass and Fort Bowie were focal points of operations by the U.S. Army to gain control over the Chiricahua Apaches. Trouble broke out in 1861 when Cochise was falsely accused of kidnapping a boy and stealing livestock belonging to John Ward, a rancher. Soldiers attempted to hold Cochise until the boy was returned, but he escaped and scattered and bloody fighting took place between Apaches and soldiers for the next ten years. The first permanent structure here was a Butterfield Station. This was a simple building that supplied horses, water, and basic food for travelers on the Overland Mail stagecoach route. This ran from 1858 to the beginning of the Civil War, when the route was discontinued and the station abandoned. 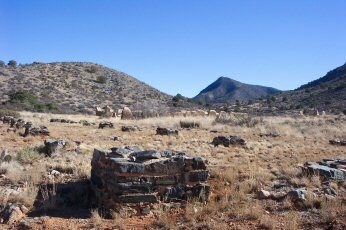 The next structure was Fort Bowie, used by the Army as a base to fight the Chiricahua Apaches. Ruins. I don't like it when what is promised is not delivered, but that's what we have here. 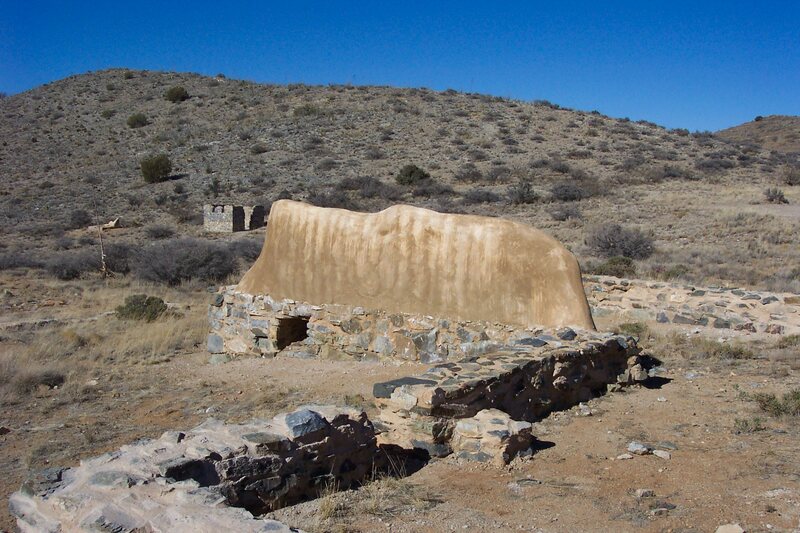 Fort Bowie was constructed of adobe, and at one time consisted of 40 or so buildings. However, except for a small rectangular stone structure that served as an armory, all you're going to see is stumps of walls. No ceilings, no floors, just grass growing around the 2- to 3-foot-high walls. All this, after a 1.5 mile hike from the parking area! We did see a fox, moseying along our trail, unconcerned for our presence but making its way up a hill. There is the spring, still supplying water, but visitors are warned that its purity cannot be guaranteed. The ranger station that doubles as a visitors center does have clean water, but the pipes had frozen on the late December day we visited. At least there is a stamp for your Passport. Wow. The first true one-subbie Treasure that I've seen. My kids and wife were good sports, but I owed them big-time after spending nearly three hours at Fort Bowie. The weather was wonderful, even at an elevation of 5,000 feet. I wouldn't want to hike this in the summer. The hike itself is mild, our six-year-old had no trouble, though Dad did carry him a little on the return walk. 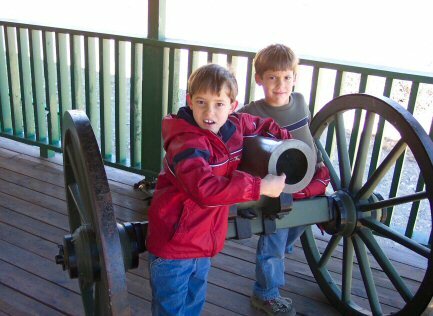 Don't anticipate fond memories of Fort Bowie. It's a stamp in your passport. There is interesting history about Cochise that I learned - from my childhood, I vaguely remembered a story about him being held by soldiers, and how he slashed his way out of the tent and escaped. That actually happened in the Fort Bowie area. Still, it's scant solace for the long hike and boring Site. One measely, stinking subbie. My wife nearly gave me a heart attack when, after we arrived at the visitors center and were staring dispiritedly around at the ruins, she teased me by reporting "There's no stamp!" The look on my face gave her giggles. From Tucson, go east on I-10 to Willcox. Take Highway 186 southeast to the Fort Bowie turnoff. It's a graded, unpaved eight-mile drive to the parking area. There are bathrooms at the trailhead, and water. After the Fort, be sure to make time to visit Chiricahua National Monument, ten or so miles to the south. My bet is you won't be travelling this way again any time soon, and Chiricahua, for my money, is worth the time. 10 miles to the south, as mentioned, is Chiricahua National Monument. About 70 miles to the southwest is Coronado National Memorial, and about 100 miles west southwest is Tumacacori National Historic Park. About 70 miles due west is Saguaro National Park, and so is Kartchner Caverns State Park. 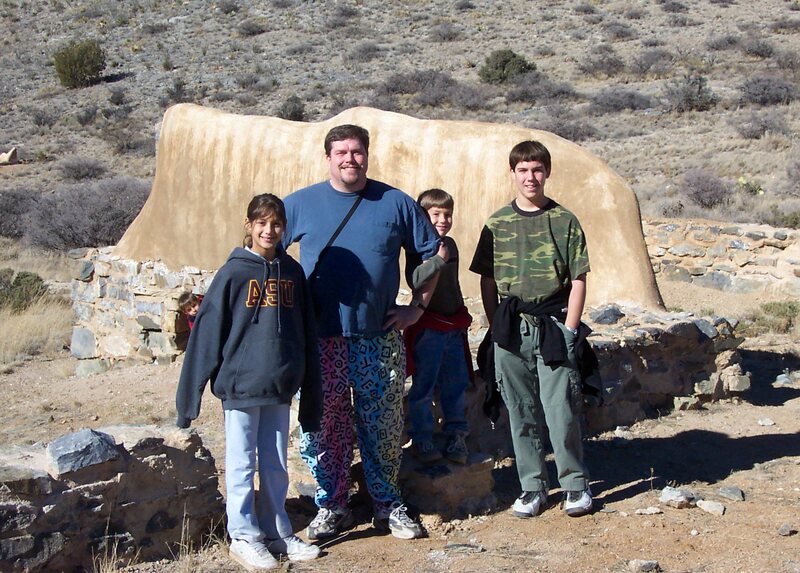 About 90 miles to the northeast, in New Mexico, is Gila Cliff Dwellings National Monument.